The Yuuki Rainbow Jolly Small Menstrual Cup is an environmentally friendly, reusable sanitary product for the Eco Conscious Woman. 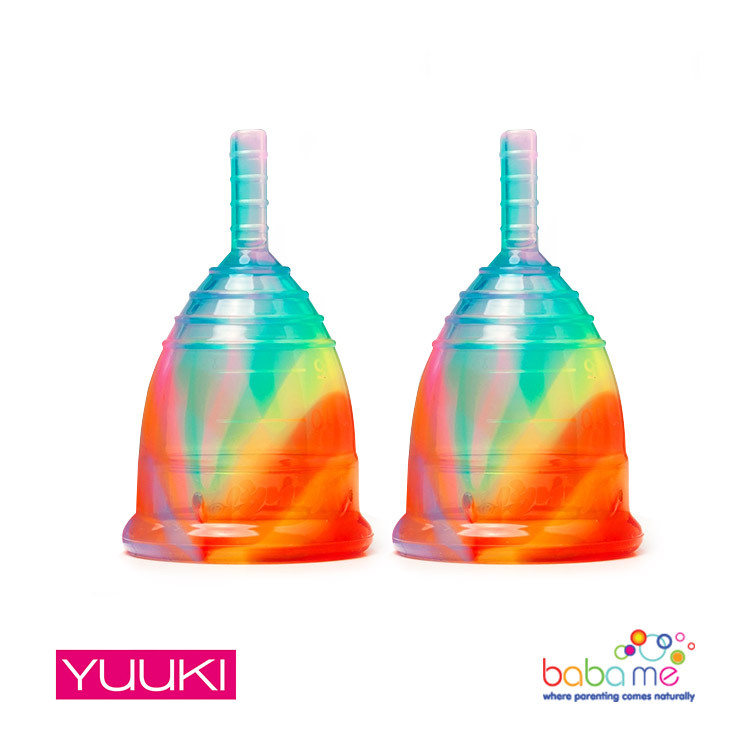 Made from rainbow coloured soft high-grade medical silicone, the Yukki jolly small cup is less firm than many other cups, with 4 grip rings on the base of the cup and 4 on the stem. The Yukki jolly cup is very easy to handle, suitable for anyone who likes a softer less rigid cup. The height of the cup is 67mm (stem included) and the external diameter is 42mm at its widest point. The Yukki rainbow jolly cup has a capacity of 25mls to the rim.